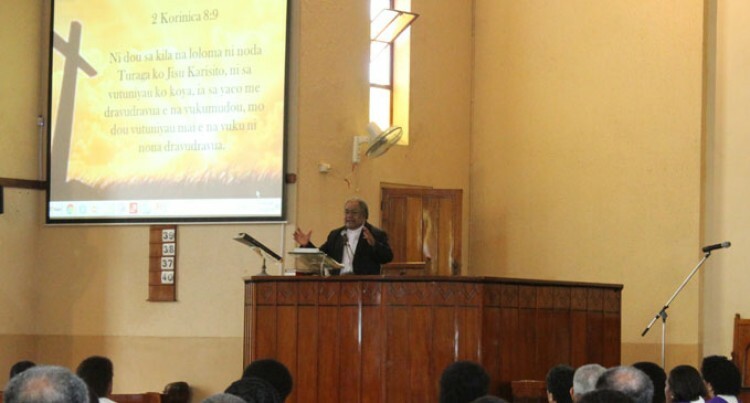 Forgiveness is the very essence of our faith, says the Methodist Church in Fiji and Rotuma. The message was relayed by Church Presi­dent Reverend Epineri Vakadewavosa dur­ing the Good Friday service at Suva’s Cente­nary Church yesterday. He reminded the congregation that if God could forgive mankind, why was it so diffi­cult for people to forgive each other. “Forgiving others releases us from an­ger and allows us to receive the healing we need,” Reverend Vakadewavosa said. He said the reason God gave mankind spe­cific direction was because he did not want anything to stand between us and Him. “God’s love for us is beyond our comprehen­sion and a spirit of unforgiveness compli­cates and compromises our daily walk with God,” Reverend Vakadewavosa said. He said the true meaning of the cross is for­giveness. “This Easter, I want you to receive God as your saviour and to lead your life and your family,” he said. He said if people could not forgive then they needed to strengthen their relationship with the Lord.